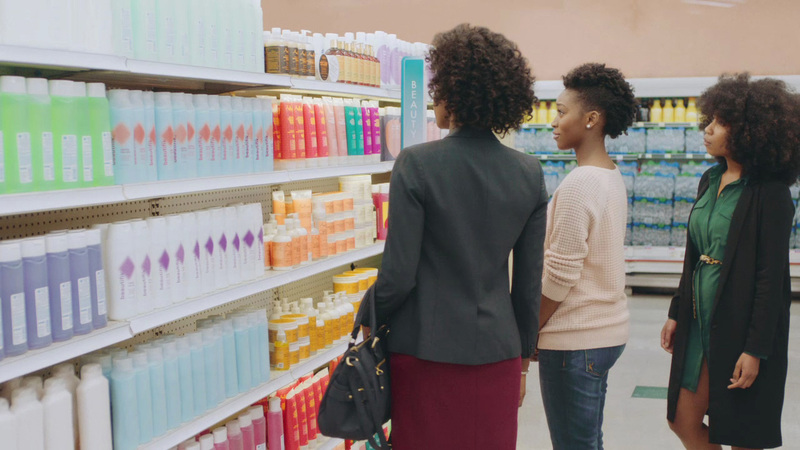 Shea Moisture is using its first TV commercial, created by its new agency, Droga5, to generate awareness about segregation in the beauty aisle. With #BreakTheWalls, the brand looking to "highlight the divisive constructs of beauty and move towards the inclusive shopping experience that all women deserve," according to the company's release. "There's an aisle called 'Beauty' that does not include all people. It's something that women have been conditioned to accept as fact, but it's no longer acceptable," Emmie Nostitz, senior art director, Droga5, said in a statement. "Shea Moisture is breaking down the walls that separate the 'Beauty Aisle' and the 'Ethnic Section' simply by putting their product in the 'Beauty Aisle.' "
In addition to the 60-second short film, there is a 30-second spot, a behind-the-scenes video (see below) as well as digital and social elements. "I have often said over the last 20 years that the beauty aisle is the last place in America where segregation is still legal," said Richelieu Dennis, founder and CEO of Shea Moisture's parent company, Sundial Brands. "Separating 'Beauty' from 'Ethnic' has only served to further perpetuate narrow standards of what is considered beautiful in our industry and our society—which is why we began leading the efforts to break down those walls." Dennis added: "This movement is about so much more than selling shampoo, or lotion, or cosmetics. We're advancing a mission and vision to change the social dialogue about how we're looking at beauty as a society and how those archaic structures and views are debilitating to the establishment of new and more inclusive ways of viewing beauty."